On September 11, 2014, Russia and the United States have conducted mutual consultation dedicated to the future adherence to the Intermediate-Range Nuclear Forces treaty (INF) that was signed in 1987. The closed-door talks between the Russian delegation led by Mikhail Ulyanov, director of Russian Foreign Ministry arms control department, and the White House representatives along with Rose Gottemoeller, Under Secretary of State, lasted 5 hours. After the talks, Russia has stated it received no satisfying answers to the existing questions, and that Moscow’s concerns on the United States’ actions – namely the use of target practice missiles that mimic the INF munitions, field use of combat drones, and plans to install ground-based universal vertical launch systems in Romania in 2015, and in Poland in 2018, – were left unresolved. In its turn, the United States said that the Russian talks failed to dispel Washington’s concerns on INF treaty violations. Earlier, the US Department of State had published a report that accuses Moscow of breaking the points of the treaty. At the same time, Russia stresses the fact that the White House officials provided no proof of the alleged violations and was unable to formulate and provide evidence to the claim that Russia used a ground-based cruise missile with a range of over 500 km. According to Jim Walsh, Research Associate at the Massachussets Institute of Technology’s Security Studies Program, the United States has not published any detailed information because it does not want to reveal its sources. “I agree that Russia needs evidence of the violation, but it’s also true that the US is not positioned to reveal all its intelligence-gathering secrets, or it will lose the value of those. It provides the other side exactly what intelligence you have and gives them a roadmap for trying to cover up future violations,” he pointed out in an interview to “PenzaNews” agency. From his point of view, Russia’s concerns have almost completely unjustified; however, this alone should not make one believe that Washington has made absolutely no wrong steps. 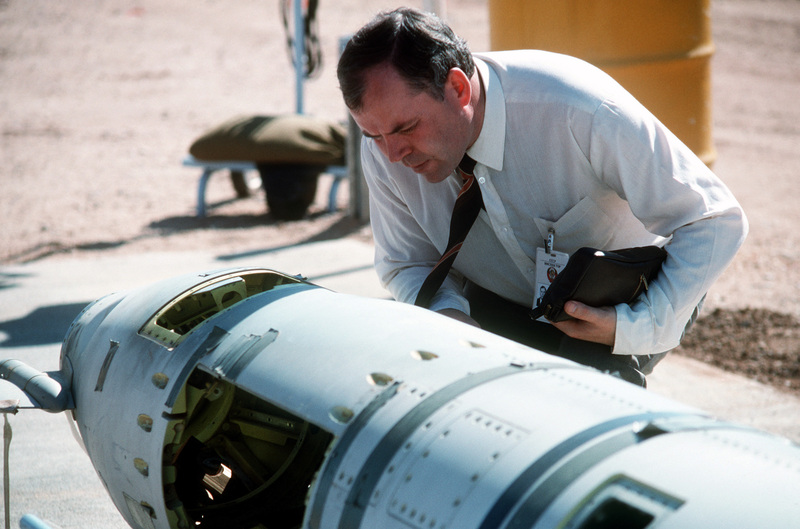 For example, according to Jim Walsh, the US has made a great mistake when it left the ABM treaty in 2001. At the same time, the analyst highlighted the differences in Moscow and Washington’s strategy that recently have begun to take shape. While the US makes efforts to reach eventual global zero in the near future, Russia’s tendency to rely on the nuclear missiles becomes more noticeable with time. However, according to the expert, the claims made by the US Department of State in relation to the INF treaty are not as serious as one might think. “It’s an accusation about a missile that has not yet been deployed. It’s not as if it’s in the Russian force structure,” Jim Walsh stressed. From his point of view, this situation makes the talks between the parties of the INF treaty not only timely, but also vital. “They started this process, and the September 11 meeting was part of this process. I think what we are going to see now is a series of meetings between the two as they try to negotiate some resolution of the mutual dispute,” the expert suggested, noting that one should not expect swift solutions and exceptional progress after the consultations, due to recent decline in US-Russian relations. Meanwhile, Ian Anthony, Interim Director of Stockholm International Peace Research Institute and head of European Security Program, said that both states expressed their intention to continue to follow the principles of the treaty. “That treaty was part of the process of creating the positive and cooperative dialogue in Europe about how to promote and safeguard our security, collectively. If the decision had been taken by either party to withdraw from the INF treaty, it would have been a further blow to the European security system,” he explained. Having said that, the expert welcomed Moscow and Washington’s determination to continue the dialogue, noting that both sides must strive to achieve the mutual adherence to the principles of the 1987 document. “The value of the treaty is not only in its legal and technical elements, but also in its underlying principles. We need to make sure that the discussion is not restricted to technical issues, but is true to the objective of the treaty which was to eliminate and permanently ban certain weapon types,” Ian Anthony urged. From his point of view, an exchange of concerns is an essential part of a healthy conflict resolution procedure. “I think that’s exactly why countries created mechanisms for dialogue – so that they could explain to each other what their concerns about compliance are, have an opportunity to listen to the other side and to respond,” the expert explained. In his opinion, during the closed-door talks, the parties could have exchanged the arguments behind their claims that have not yet been made available to the public. “We don’t know whether they provided this information in the bilateral consultations or not. It may well be the chief element of the discussion,” Ian Anthony suggested. In his turn, Greg Thielmann, Senior Research Fellow at the Arms Control Association, expressed his belief that Russia and the USA will be able to find the compromise for their existing concerns. According to him, the countries have achieved several mutual diplomatic victories in the past. “Concerns and accusations are not fatal to the treaty. There has to be serious effort on the part of the Treaty members to work on those differences,” the analyst stressed. In his opinion, Moscow’s decision to continue following the INF treaty is a positive signal that contrasts the popular vision of Russian military forces outside Russia. “From the American perspective, we read a lot about the Russian military being unhappy with the Treaty complaints,” the expert added. Discussing Moscow’s claims on Washington’s alleged violations, Greg Thielmann doubted that target practice missiles and combat drones can be considered violations of the 1987 agreement. “Even though they [target practice missiles] mimic the performance of actual missiles in the banned range category, the target missiles themselves have never been tested to land and explode: they have never been tested with that part of the trajectory, they are separate systems. I do not think this is a reasonable suspicion that they could be used or are being used for INF systems,” the expert clarified. At the same time, he noted that Russia could also have used similar munitions while developing and testing their own anti-ballistic missile launch systems. According to the analyst, combat drones are also treaty-compliant, because a drone takes off from a runway, not from a silo, and does not self-destruct after striking the target. However, Greg Thielmann said that Moscow’s concerns about the ground-based launch systems are not unjustified and must be discussed. “I’ve written an analysis which says that if the US were in the position of Russia and Russia were deploying a vertical launch system that the manufacturers say is also suitable for launching Tomahawk cruise missiles, I think the US would have a complaint to raise with the Russians,” he stressed. At the same time, he added that the modifications in the launch systems’ hardware and software that prevent their combat use can be located only during a thorough inspection. According to the researcher, one of the ways to resolve the issue may be establishment of several inspections of the US launch systems by Russia, as well as further continuation of the dialogue. Meanwhile, Pavel Podvig, Director of Russian Nuclear Forces Project, suggested that the violations which led to the consultations on September 11 will eventually be resolved without many difficulties. “It’s hard to say how serious or not serious it is: my guess is that it’s more like a technical violation. If both sides negotiate it, I don’t see why this issue would not be resolved,” he explained. At the same time, Pavel Podvig urged both sides to push towards adhering not only to the letter of the treaty, but also to its spirit, and also be much more open to each other during the dialogue. “If the US would be more open with the nature of the Russian violation, eventually you could find a way for Russia to provide the US some insurances that it is in compliance with the Treaty. To do that, you have to talk, you have to discuss the issues,” he stressed. At the same time, James Acton, Carnegie Endowment Senior Associate, noted that successful discussion requires serious dedication from both parties, as well as mutual cooperation, since both the US and Russia have issues to resolve. In his opinion, Moscow’s concerns on combat drones and target practice missiles are unjustified; however, Washington have not yet published the details of the violations reported in July 2014. According to the expert, the US must assure Russia that the new ground-based missile complex are safe, as well as publish more data on Russia’s alleged INF treaty violations. At the same time, Moscow must assist Washington in resolving the existing disagreements and push towards achieving mutual understanding in the voiced concerns. “In the case of the vertical launch systems being installed in Europe, I think that Russia has a point that the US does need to engage seriously with, just as I believe it’s very important that Russia engages seriously with the US concerns about a new cruise missile,” James Acton explained. From his point of view, both parties can reach the compromise in the current situation only through dialogue and cooperation. “The only way forward is for the two sides to talk about these issues and to agree a mutually acceptable plan with additional transparency and confidence building measures, so that each side can be assured by the other one that its concerns are being addressed,” the expert concluded. According to the document, the Russian Federation is in violation of its obligations under the INF Treaty not to possess, produce, or flight-test a ground-launched cruise missile with a range capability of 500 km to 5,500 km, or to possess or produce launchers of such missiles. However, the US officials provided no evidence of such violations. In return, the Ministry of Foreign Affairs of the Russian Federation (MFA) has published an official statement, in which it rejected all the raised accusations and accused Washington itself of breaking the INF treaty. According to several experts, the current INF treaty situation may cause additional tensions on the worldwide scale: therefore, it requires mutual cooperation between Moscow and Washington.